While you're here, we recommend taking the scenic route to wherever you need to get to, nobody will mind if you're late. The shore road from Belfast Lough to Lough Foyle near Derry (via Cushendall and the Glens of course), is described by many as 'one of the world's great road journeys'. Check out the map of Antrim on our Causeway Coast page. 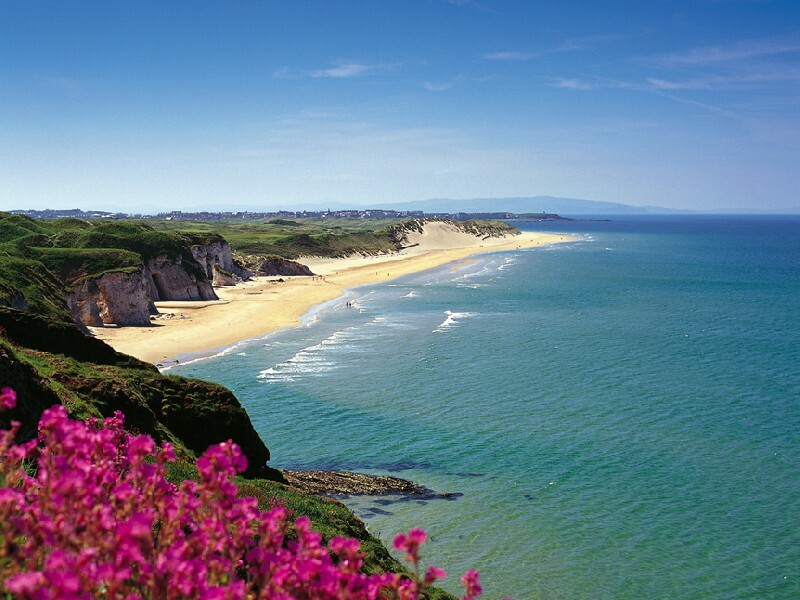 In fact the Causeway Coastal Route was recently placed fifth in a list of the world's most spectacular views. 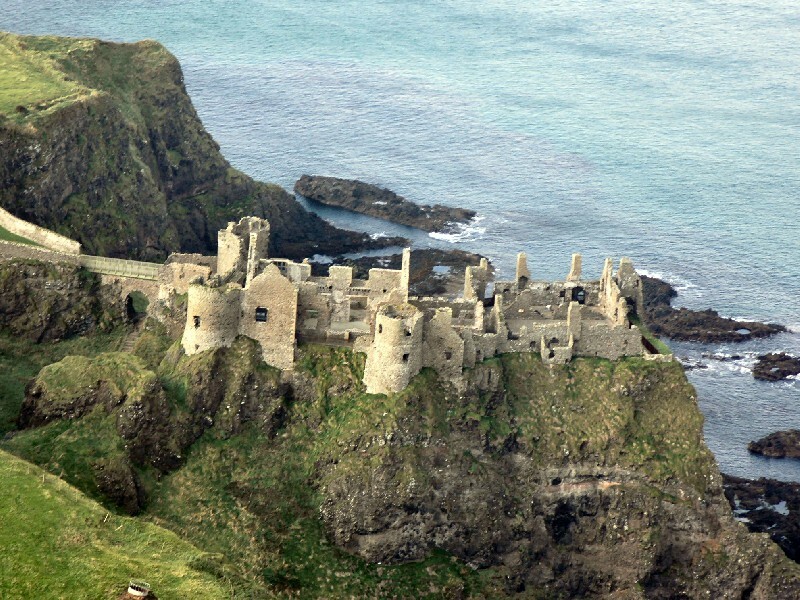 Encompassing three Areas of Natural Beauty, and some of the most beautiful coasts and cliff views, as well as many historic sites like Dunluce Castle, Carrickfergus Castle, there are also many unique places of interest on the route. The Giant's Causeway itself is the jewel in the crown, steeped in ancient myths and fascinating geology, a brand new visitors' centre has just recently been built, and it's well worth a visit. 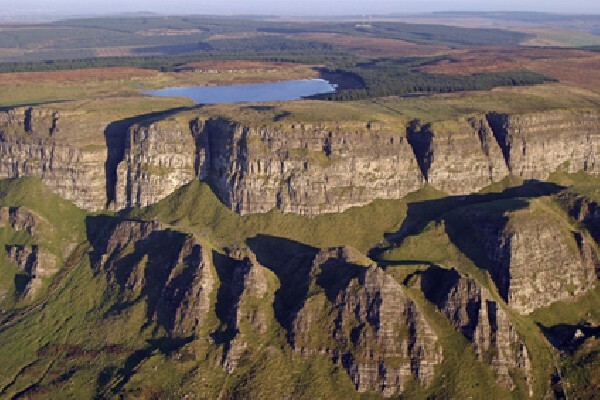 Beaches and Cliffs dominate the coastal route, as well as the glens opening out to the sea from the Antrim Plateau. Cushendun, Ballycastle, Waterfoot, and Port Rush all have beautiful beaches with fantastic surrounding views. Grab some buckets and spades when the weather is fine. Here are just a few of the highlights of the route, the Glens of Antrim page, and the Causeway Coast page describe many more attractions. One of the best preserved Norman Castles in Europe, it is now a popular tourist attraction. Plan your visit for one of the excelent guided tours. Just on the Cushendall side of Larne, the country park has seen a lot of recent investment, and is well worth a visit for a fun packed day. With crazy golf, a miniature railway, children's parks, walking trails, gardens and a maze and more, small children and pre teens will have a great time. Northern Ireland has a great motor racing heritage, and noone exemplifies this more than the late Joey Dunlop. This garden is a fitting tribute to a great man, and well worth a visit while you're in the Ballymoney area. 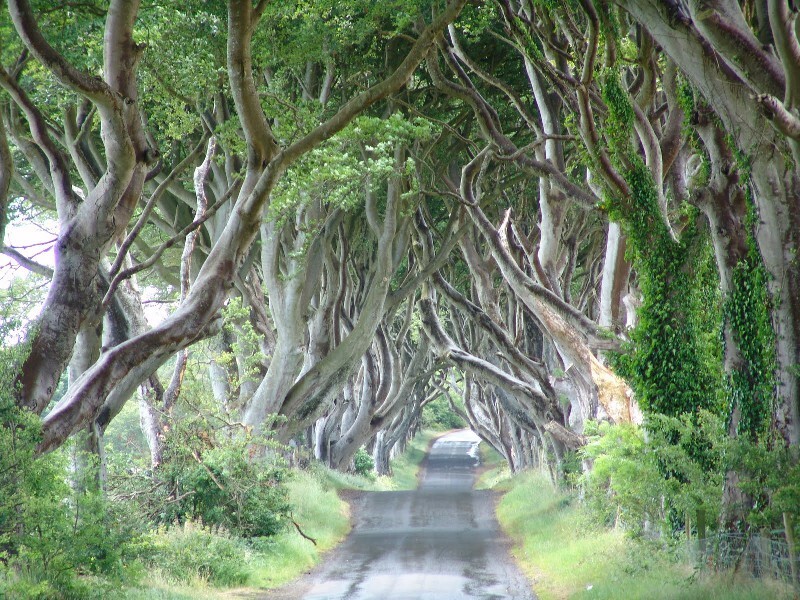 While you're around Ballymoney, take some time to drive through the Dark Hedges, these ancient trees are said to be haunted by a mysterious grey lady. And are another unique element along the Causeway route. 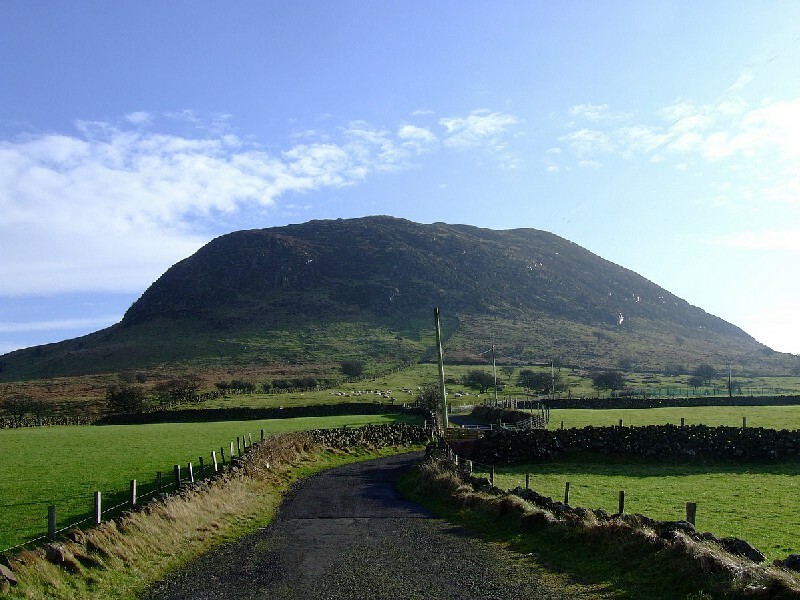 This is the mountain where St. Patrick tended sheep as a young slave on his first visit to Ireland, before he returned as Bishop and drove out all the snakes. The route starts and ends in two bustling cities, both with their own fascinating recent and late histories. Plan to spend a day in Derry, walk the walls and visit some of the Museums, shops, bars and parks. Belfast is a modern thriving capital city, which has undergone a revival in recent decades. Just over an hours drive to both from the holiday cottages.